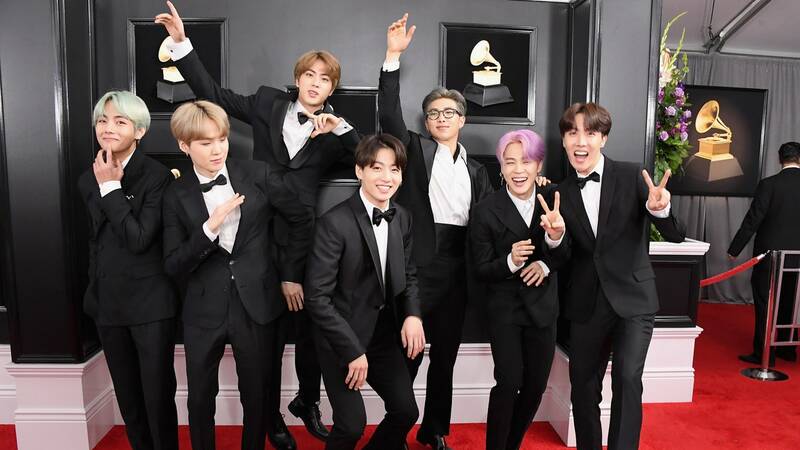 BTS has released their much awaited album “Map of the Soul: Persona” with 7 beautiful tracks which are really sweeping off the charts. Big names like Arcades, Marcus McCoan, and Bad Milk are also part of this creation and how can we forget our 7 boys who’ve worked extremely hard for their fans again. This album can be termed as a creative experiment by BTS and ARMYs love it. Intro: Persona – Who The Hell Am I? To witness the 90k audience at a stadium singing ‘Persona, who the hell am I?’ along with RM would be something. You’re a lucky ARMY if you can do so, others, let’s form a praying circle so that BTS comes to our countries as well. Anyway, the 1st song of the album ‘Map of the Soul: Persona’ is RM’s intro which is influenced by more of rock sounds very similar to their first mini album “Skool Luv Affair”. The music video and the lyrics depict how thoughtful BTS are as human beings as the leader talks about being there for someone else. The title track of the album, ‘Boy with Luv’ has an interesting feature with Halsey. Though Halsey isn’t much into the scene in the official music video, her vocals can be heard well in the official song. The teasers sounded quite different from the song, but the song turned out to be amazingly arranged. The music is peppy and isn’t like anything the boys have attempted before. That’s what makes BTS songs so special. The philosophy behind this name lies in the microcosm which means the own small world of humans. This song talks about the endlessness of human beings which associates to the very word “persona” which is BTS’ keyword in this album. Yes, you read that right. The 4th track is all about BTS X Ed Sheeran. The song is as beautiful as any other Ed Sheeran song and you can also relate the song to his style. BTS’ vocals have done immense justice to the melody which is full of synths, the song’s message includes the desire for making everything alright, and improve relationships! Home – The Song Of The Year! The use of Spanish “mi casa” has been interesting to hear, and the members have done a great job with this song. This song is for ARMYs, their fans who are ‘home’ to them. The vocals and the rap create a very powerful vibe throughout. Undoubtedly, ARMYs are going crazy over this song and for all the right reasons! Dionysus – Perfect For A Bop! This song talks celebrates their artistry and also draws into the similarities between BTS and the God of wine Dionysus. Dionysus was considered as a reject due to his mortal mother, and BTS was never considered important initially in their industry because they hailed from a small company. Dionysus could also make everyone dance in his presence which is similar to BTS whose songs inspire millions of people and allow them to groove and feel the beats. BTS has really produced an extremely powerful album and showed a different part of their artistry to the ARMYs. No wonder ARMYs are the luckiest in the world. BTSXARMY forever!